I ended up delaying this blog post one day so that I could see the results from SPDC 33 WORLDS, which was rescheduled to yesterday after low attendance on its regularly scheduled day. But with that event now complete, I have the opportunity to look at what happened in the capstone event of Season 33 of Standard Pauper. It should come as no surprise to anyone that Sultai Control was the big winner of the event, with emerald000 taking the gold trophy in MPDC and AfroDwarf doing the same in SPDC. In fact, these two decks were identical, save for a few differences in the Sideboard. All in all this archetype accounted for half of the eight decks that made it into the playoff rounds of these two events. The next archetype was the Enchaments deck, which afreeAk piloted to Top 4 in MPDC and 2nd place in SPDC. So that leaves the final two decks, which consisted of an Air Support deck run by littlefield and a Boros build by Paranoid_Android. So what are the takeaways as we head into next season? 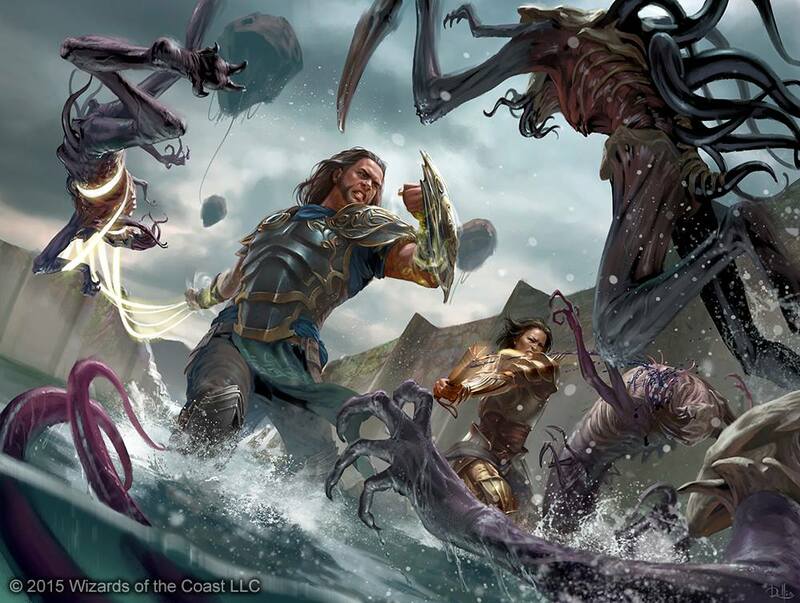 Sultai remains the deck to beat, with its powerful sacrifice and recursion strategies, with Pulse of Murasa continuing to be one of the cornerstones of that deck. The Enchantments deck has proven to be very consistent, and looks to be getting at least a few strong additions from Eldritch Moon. This will definitely be a deck to watch out for next season. Aggro strategies are still quite feasible, but they have to be blisteringly fast in order to quickly overwhelm the more dominant Control archetypes. Air Support, Boros, and the Orzhov Aggro deck have all shown they can contend with Sultai. None of the existing archetypes have a strangle-hold on the metagame, which means there should be plenty of room for new decks (or variations on existing ones) to rise to the top. I personally can't wait to see what surprises Eldritch Moon has in store for us. As I wrote a while back, it looks to be one of the better sets we've had at Common in a long time. Next season is certainly shaping up to be a good one! Why Would Wizards Spoil Falkenrath Reaver?